For second consecutive time Vilnius Equestrian Sports Center have been invited to be part of the major horse event held in Spain. 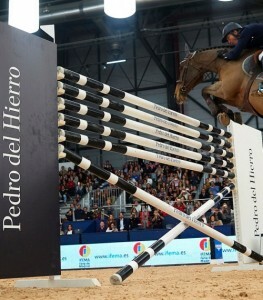 Luca Maria Moneta with “Neptune Brecourtn” won the Six Bar competition, Pedro del Hierro Trophy. 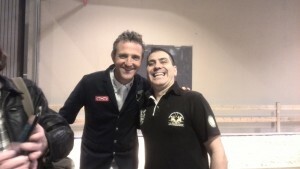 The italian was the only rider to jump over the 2m height obstacule and without knocking any of the jumps. Second was the Spanish rider Sergio Alvarez Moya and third Martin Fuchs who was able to jump the last obstacule but knocked the one before. The unstoppable Luca María Moneta adds another victory in this third edition of the Madrid Horse Week, winning this time the MHW Trophy at a height of 1.45m. 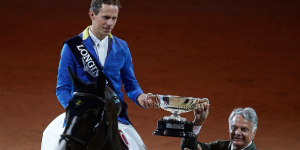 The second position was shared by the Bristish riders Lauran Renwick and Scott Brash after finishing both at the same time. Maikel Van der Vleuten came up next in fourth position.